News: Welcome to the Doo Wop Preservation League message board! wow.. We have never been there but its still not a good sign.... I sure hope it does not go under.. I understand it's not far at all once you take the Cape May Lewes Ferry to Maryland, so I'm thinking that will make a nice alternative to the Wildwood boardwalk one night. I went there one summer and was very disappointed. It was so different that WW. I have not made it down to Ocean City Maryland yet. It a shame to lose any amusement center do to these conditions. Thats very sad. We had been to OC MD a few times, nothing like WW. The last time was in 2000? 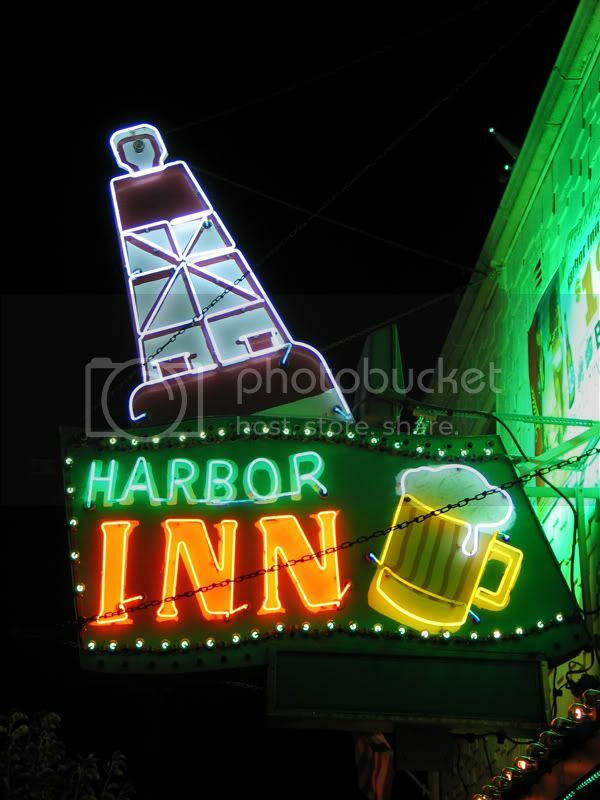 Prior to that time they did not have many attractions and everything was closing down at 10:00 pm except for the bars on the boardwalk. Its ok for a day trip if you are close enough. For us the excitement of the boradwalk is the best, love sitting on the decks of the hotels close enough to the boardwalk and people watch, thats the life. Did go to OC once but wasn't too impressed. But it was an okay stay. I hear the same things, that Ocean City MD is no Wildwood. That said, Trimper's Haunted House is one of the most highly-regarded traditional darkrides in the country (so I'm told) and would be a huge loss to the amusement community. The Pirates Cove walkthrough is also one remaining example of a dying breed. Both are products of Bill Tracy of Hunt's Pier fame. I also have never been to OC, Maryland. The Pirates Cove walkthrough is also one remaining example of a dying breed. Both are products of Bill Tracy of Hunt's Pier fame. And this is exactly what has us in a spot to make a tough decision. This year we are planning to go somewhere for our 20th. Do we go to WW and see all our favorite things that aren't there anymore, or go to OC-Md to see some stuff that resembles our past, which may also not be there in the near future? The way I figure it, WW will pretty much look the same in five years (our 25th) as it does right now. We haven't been there since the early '90s, so it will be a bit of a shock no matter when we return. The one big factor I see is price. OC-Md is a bit more expensive than the Jersey shore. Guess we'll wait and see how many presidents we can stack up before we decide. Went to OC once in the 70's. Came away NOT impressed, the place just did not compare favorably to WW. I can remember walking along the boardwalk and wondering where all the cool stuff was.....all I remember seeing was motels. We could see some rides way off in the distance, but we never made it as far as where they were. Guess we had a bad location. And yet.....I have friends who just adore OC and hate WW. Would not go back to WW if you gave them a free room and meals for the week. It is sad to think they may lose a piece of their history, too. Hopefully Trimpers will be able to hang on. If Trimpers doesn't hang on, I hope that the darkrides would find new homes. But considering the soft market for that sort of thing right now, I'm not optimistic. 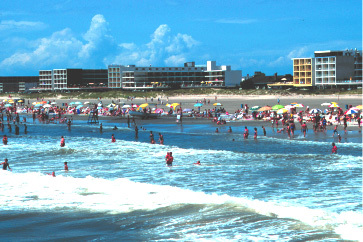 We had friends that used to go to Ocean City all the time (not sure why they skipped Wildwood) and they loved it. I think it's more a matter of what you grew up with, rather than what is technically "better". My wife grew up going to Lavalette and it's taken her years to begin to realize why Wildwood is special. When I started taking her back when we were dating, she clearly didn't see what I saw! I love the Haunted House and Pirate's Cove. They're technically the only Bill Tracy dark rides left on the east coast, the other closest ones would be the Whacky Shack and Pirate's Cove at Waldameer, Erie, PA. It's a shame no one was interested in preserving Hunt's Whacky Shack. The Phatasmagoria (Bill Tracy ride) at Bell's, Tulsa, OK was just dismantled as the park was given the boot by the fairgrounds after 50 years in the same location, they plan to move to a new location and rebuild the dark ride (bigger with a new front) and wood coaster. Also, the Whacky Shack at Joyland, Wichita, KS is in danger as the park might not open this summer due to new operators failing to pay rent and getting evicted, and the former longtime owners Stan and Margaret Nelson that still own the park trying to sell it to the new operators. The Whacky Shack at Joyland was the first Whacky Shack Bill Tracy built. I was hoping Morey's would purchase one of the in-danger Bill Tracy dark rides. They didn't make any effort to save Dr. Blood's but that was Sportland's problem. It would be a real shame if Trimper's goes out. They're one of the oldest parks in existence, 120 years old, founded 1887. Dorney Park by me was founded 1884. It would be difficult to relocate the Haunted House and Pirate's Cove. Granville Trimper the grandpa doesn't want to sell the park, he wants to pass it down to his grandchildren. Wildwood vs. OC MD, it's all a matter of preference. I thought OC didn't have as much as WW on my first visit in 1988, but then I realized what treasures they had with the dark rides and went back several years ago and rode them. We only went to one park at OC in 88, and rode the train ride, walk-through haunted house, and fun house. Today that park still has the train, and a one level ride-through dark ride replaced the walk-through, and the fun house was moved down to the pier. It's going to be very interesting to see how things play out for Joyland and Bell's. I'm cautiously optimistic but won't get too excited until I see both parks up and running again. The fates of two classic darkrides and two classic wood coasters are attached to the fates of those two parks and that cannot be understated. Nothing, including OC Maryland's boardwalk can compare to WW. Likely true, but the loss of Trimper's will still be a huge loss to amusement enthusiasts and the seashore amusement park scene in general. There aren't that many left and any loss is a significant one. And especially parks with classic dark rides, like Bill Tracy. Those are irreplaceable. Once they're gone, they're gone. Once the condos go up, the damage is done and cannot be undone even if they wake up and realize too late that they made a big mistake. Look what happened to Hunt's, or Florida's Miracle Strip, or MB Pavilion, or any other parks that shuttered their doors after years of operation. It's like many of these parks were operating since before the Baby Boomers were born, and since Bell invented the telephone, or Wright the airplane, or Ford the automobile. Many of these parks opened way before television. The 21st century generation are the ones that are going to get screwed big time, the ones born in the 80's and up barely remember some of these parks. But, most people go to beaches to relax anyway. If people want to ride roller coasters they'll go to a Six Flags or Cedar Fair inland. A beach without amusement parks equals a boring beach. And there are only several dark rides left total from NY to MD, there are no ride throughs in VA Beach or MB anymore, (RIP MB Pavilion Haunted Hotel 1978-2007) except the first Sally dark ride at MB Family Kingdom, the Pistolero Roundup. Otherwise, thre's walk-through haunted houses in those two towns. But, there's very few walkthroughs left in MD, NJ. I think NJ has two total now and MD just has the ones at Trimpers. MB is one of the last places that had the unique combination of wood coaster, mini train ride, dark rides, and walk-through haunted houses with live actors. OC MD has the mini train ride, dark rides, and walk-throughs without live actors. They used to have a walk-through Morbid Manor with live actors on the pier, but now it's a ride through called Morbid Manor. Morbid Manor, Haunted Manor formerly of Seaside, and Castle Dracula WW have Myspace pages. I wonder if the people in Panama City are realizing the errors of their ways. Miracle Strip was closed and demolished and now the condos that were planned for the site are off the table. Instead of an amusement park and laughter there is nothing but a weed-choked field and silence. How fun. for those of you who have not visited OC, i would highly recommend it before trimpers closes. of course, i have not been to WW yet(the end of this month will see my first trip--i am sooo excited!). i am pretty sure most of the motels and ugly condos of the OC will not impress, but trimpers...wow. we were lucky enough to stay only yards away from the trimper end of the boardwalk(and directly across from assateague "pony" island), and i'm still having dreams about how lovely and mysterious that little cove of OC was. the old rides were so charming--the haunted house and pirates cove were truly wonderful. and the arcades! hidden deep within the arcades were THE most beautiful antique skeeball machines i've ever seen--and in perfect working order, amazing, as they look like they were built in the 30's. and also hidden in a dark corner were the most intricate and gorgeous brass crane games--each still a dime to play. of course, the prizes were a bit cheesy--and it was just as fun to win as it was to leave the prizes in the heavy brass doors and to watch the next person open them amazed thinking they'd won a jackpot of cheap plastic bangles and nic-nacs. I'm finding a way to make it to Trimper's before the end of the season. Something tells me that if the park is going to close, it's not going to be this year, but I've been burned in the past by that kind of thinking and I'm not about to get burned again. I'm thinking about going to Rye Playland soon because they seem to be serious about removing the two dark rides. It seems to me that unfortunate circumstances are killing off old dark rides en masse due to the events happening within a short time period. It's either the parks close and the dark rides are unwanted by anyone else, or the park makes a decision to remove the dark rides. Look at Coney, what will happen to the Dante's Inferno there? Hopefully the family that runs the Spook-A-Rama will keep going and not be pressured to sell by the same developer Thor. And who knows about the Ghost Hole at 12th St, which used to be at Trimper's until 98 or so and was moved to NY. All the shore parks except the ones in NJ and one at Rehoboth DE face an uncertain future. Any one of them could close for any reason. Morey's are sort of protected from other development because they're on piers. And hopefully Jack and Bill can keep it going for many more years. I just wish all these Bill Tracy rides weren't in parks that are failing. Or that healthy parks would buy the rides to ensure their future. Actually, none were scrapped recently, just two of them were dismantled and put into storage for future use, the one from Ohio, and the one at Bell's, Tulsa OK. 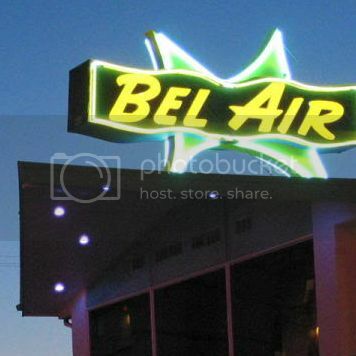 The dark rides that were scrapped over the past year weren't Bill Tracy, like Haunted Hotel Myrtle Pavilion that was a Funni-Frite product except Dr. Blood's which was built by his company in the 70's following his death. However, the Haunted Castle at Miracle Strip was Bill Tracy at least someone got the cars, track, and props. The parks where Bill Tracy rides were scrapped include Dorney Park and Hunt's Pier. Two of them at Dorney burned, the Whacky Shack walk in 1973, and the Bucket O' Blood ride in Sept 1983. The Journey old mill was removed after 1992 after Cedar Fair acquired the park and the Iceberg/Meteorite came down in 1994 for a pizza stand, there was a pizza stand with a half circle roof attached to the Iceberg before. The Halloweekends Fun House at Dorney has some Tracy-like looks, from the crooked doors and windows on the facade to the glowing mine chamber inside and glow in the dark paint. The two Haunted Houses are like Castle Dracula on steroids. Actors galore inside the attractions, and some startle scares like the portrait hall in Doctor of Doom where two of the portraits drop down for an actor to scare you. The hall goes around corners so you don't know what to expect. The other haunt at Dorney Park is Scream Works an abandoned factory. The haunts open in late Sept. or early Oct.
does Rye playland have any Starbucks or other exciting "chain" stores? i could not get this article to come up. The Secret Circle,The Lying Game,Castle,The mentalist,Pretty little liars all good shows. There is nothing like Wildwood's boardwalk but I've come to appreciate other seaside boardwalks/amusement parks for what they have. I still have to make it to OC, MD but I know Trimper's has some very noteworthy darkride/funhouse attractions and that alone probably makes it worth the time and money. Santa Cruz Beach Boardwalk is also a phenomenal place. The trip to OC from Wildwood is a breeze by the Cape May -Lewes Ferry. The Ferry line is terrific and a great expereince. I usually take one day to go down for a visit...usually a rain day in Wildwood. Its fun for a day. OC has a very urban feel. Like a big city with lots of big imposing buildings. The Boardwalk and Beach are interesting..like a sterile copy of WW..
but many folks from my area love it there. For me..It's Wildwood no comparison. Wildwood is the one place on earth where the 50's and the 21st Century are in perfect harmony! Never realized that. Thanks for mentioning. I am unlikely to ever stray that far from Wildwood, except perhaps during a much longer stay than I have been able to manage recently, but it's good to know. I know what you mean. I've been wanting to get to Ocean City MD for years (will do it this summer- I promise) but even though it's easy to get to from Cape May, you still have to spend the time on the ferry and the time driving to Ocean City. When I'm in Wildwood, I don't want to spend a day away from Wildwood. I'd rather make a dedicated trip to Ocean City... and maybe I'll end up doing just that. I'm not that good with the distances but how far is OC from Baltimore? I ask that because you could make it a nice weekend trip. Visit the inner harbor and watch an Orioles game then head to OC. Baltimore is about 100 miles from Ocean City, MD. If you did that, you'd have to catch an early afternoon Orioles game, leave early, get to your car and rush to get to Ocean City by early evening. I'm thinking doing both would make for a nice weekend. Camden Yards is one of the best ballparks in the country, even if you're not an Orioles fan. Agreed on all statements here. Only tricky part with MD is that I-95 that takes you right through the heart of Baltimore, but OC is closer to the DE border than anything. Actually, if you took the Lewes Ferry, it's probably quicker to get from WW to OC than it is from B'More. That's just me eyeballing it, of course. I agree it has an old ballpark look and is very fan friendly. Doo Wop Preservation League Forum - Wildwood, NJ » Powered by YaBB 2.1!